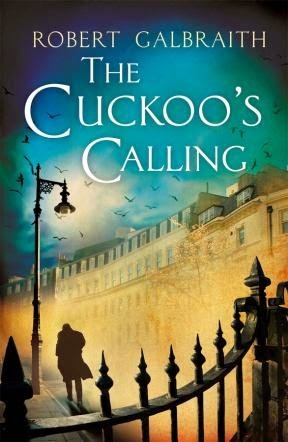 By the time I read The Cuckoo's Calling, everybody knew that there was no Robert Galbraith and that the actual author of this detective thriller was in fact J. K. Rowling. On one hand, I completely understand Rowling's decision to work under a pen name. The Harry Potter saga is the best known book series of the last 50 years. Publishing The Cuckoo's Calling under her own name would have felt almost silly. Rowling would have been left standing in her own sizable shadow. On the other hand, The Cuckoo's Calling is so good that there should have been no need to hide her identity. The characters are well developed and the plot is exhilarating and contemporary. The prose is vivid and concise. I have no trouble recommending The Cuckoo's Calling for anyone looking for a nice detective story or just a nice description of modern day London. Once again, I won't go into plot details, partly because I just don't remember the names of the characters anymore. A supermodel falls off the balcony of her home. A retired soldier is paid to investigate her death for signs of foul play. The elements of the story are fairly standard, but they do not really feel that way at any point of the book. Once again, I will credit Rowling's ability to conjure complex situations in few words with some of the success. It should be mentioned, though, that The Cuckoo's Calling is not exactly high literature. It is not Great Expectations, and it might not even be Red Harvest. But in it's own category, detective fiction, Rowling does a flawless job of creating a compelling and altogether delightful read. As a bonus, if you don't enjoy the main character, just imagine that it is Harry Potter during a stifling middle age crisis.